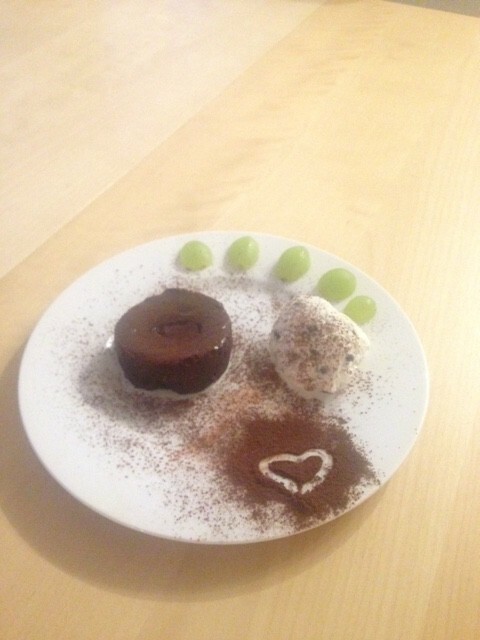 Jeremy and I had a great Lava Cake in Bangkok two weeks ago. 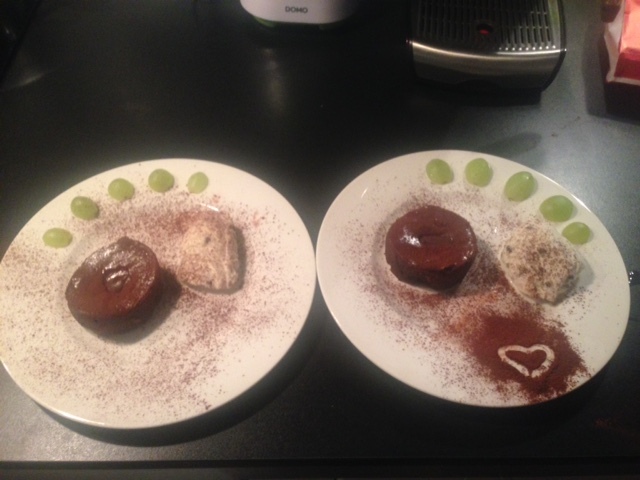 I am still dreaming about it, so I decided to try to make it 🙂 Here is our secret Lava Cake Recipe for you! 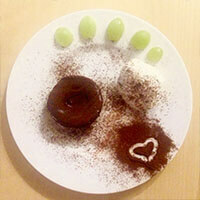 After a few minutes of magic in the kitchen, the lava cake was ready to eat and it was soooo delicious, that I want to share the recipe with you! Put the dark chocolate with the butter in a bowl and let it melt in the microwave or in a water bath. Mix in a second bowl the sugar, vanilla sugar, flour and salt with the 2 eggs with a hand mixer until it is a dough. Then add the cooled off chocolate cream from bowl #1 and mix it until it is creamy. Prepare the muffin trays with a layer of butter and sprinkle it with cacao powder. Fill the dough in your muffin trays. 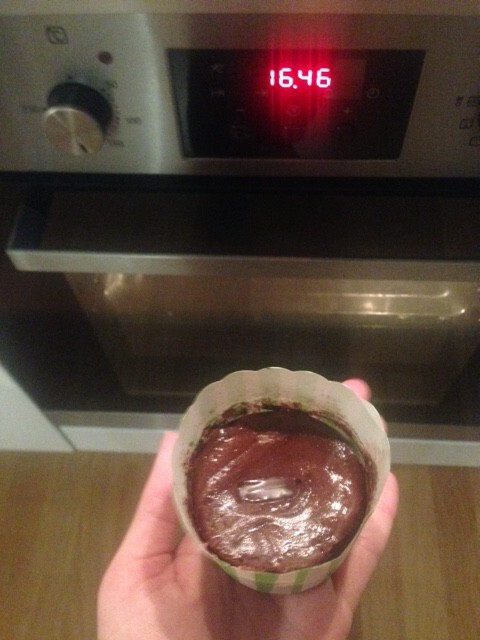 bake it for 10-12 minutes at 180 degree Celcius. It tastes very good with fruits and ice cream. Hope you love it the same as we do!